This statistic shows an overview of industry general manager's annual salary as of 2011, sorted by industrial sector. 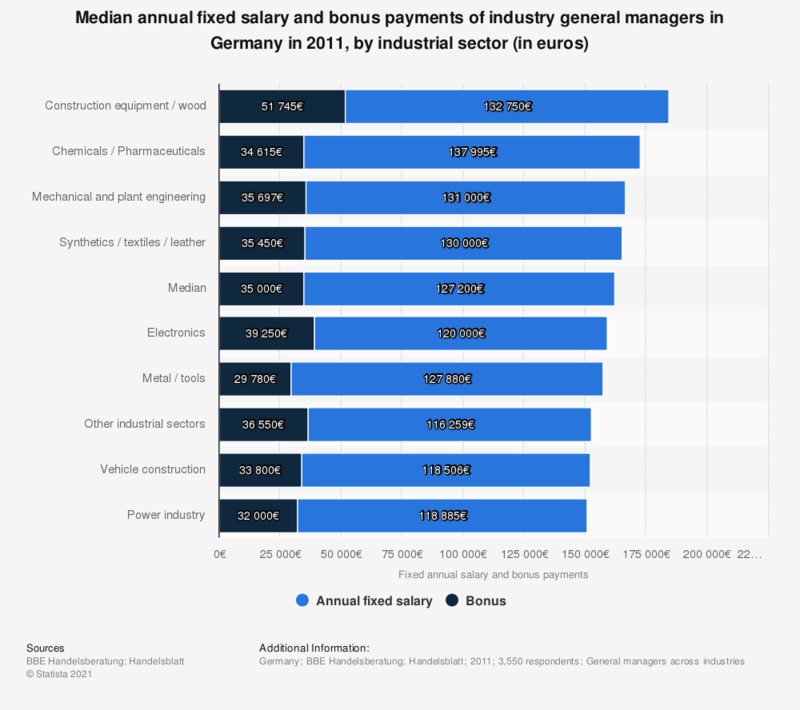 In the metal and tools sector, the median fixed annual income of a general manager amounted to 127,880 euros and the bonus payments amounted to 29,780 euros. Median values, i.e. 50% of general managers earn more, while 50% of general managers earn less. .